Price: $ Inquire about current pricing. 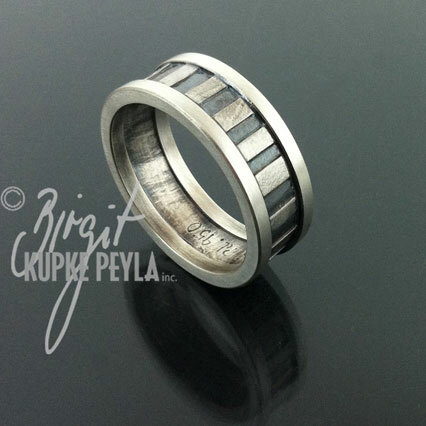 This two tone band-ring is made of Palladium and Sterling Silver. Patina gives it the dark finish. This makes a great wedding or commitment ring. Sturdy enough to be worn everyday for a lifetime! Custom made upon order for your size! 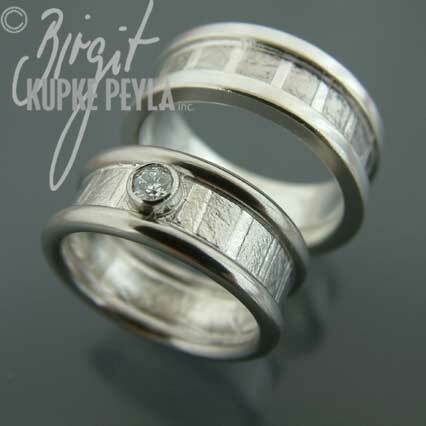 I also offer to make the inner striped part of the ring thinner or wider as to your expressed desire.